HomeToday's ThoughtsPASSIONS, GIFTING, PROFIT TODAY AT 3PMEST! The questions are coming in. Make sure you get yours in by sending it to anikapassionjourney@gmail.com or calling 347-539-5372 during today’s broadcast at 3PM EST! Discover how your gifting, your passion and your drive can lead you to great success. 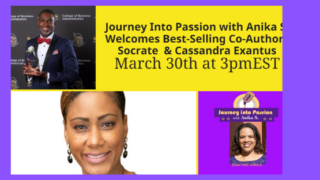 Join Anika S. with special guests Socrate and Cassandra Exantus for a powerful hour that you will not forget. 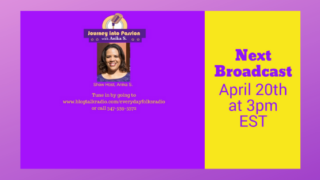 Journey Into Passion with Anika S. on Everyday Folks Radio is about to go to another level on this journey towards realization. It’s time to get into the business of realization and learn what it means to stop working outside of your passion and begin working in it.